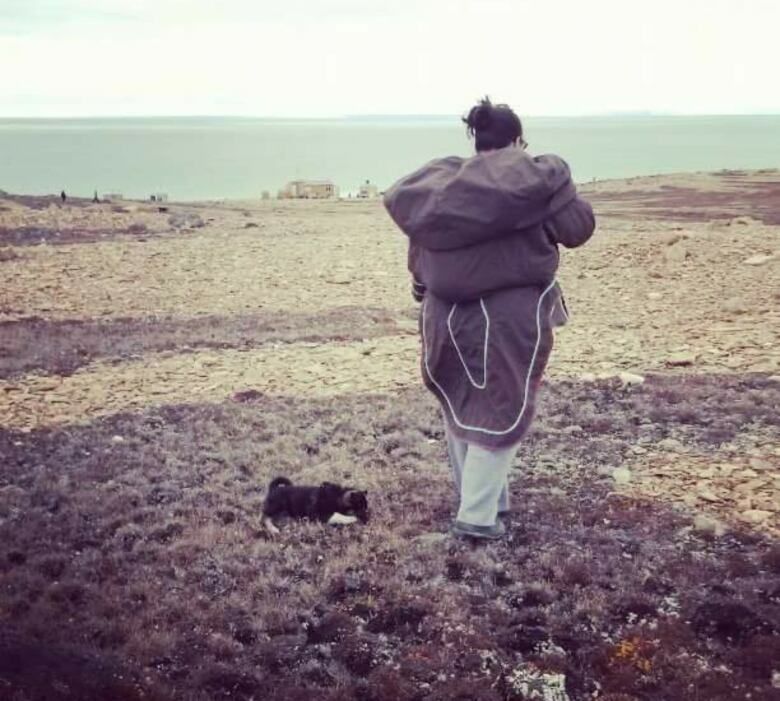 As the federal government announces a $40 billion, 10-year housing strategy, a Nunavut woman is bringing attention to the dire housing situation in the territory by detailing the lengths her family went to to obtain a home of their own. As the federal government moves ahead on a $40 billion, 10-year housing strategy, a Nunavut woman is bringing attention to the dire housing situation in the territory by detailing the lengths her family went to, to obtain a home of their own. For the past 23 years, Ellie Mala has lived — on and off — in the Nunavut community of Cambridge Bay. As with every community in Nunavut, Cambridge Bay's public housing stock — 266 units, as of the spring of 2017 — comprise the majority of housing options in the community, and competition is fierce, with some people waiting as many as 10 years for a home. "There's no market for private rentals here," said Mala. "And if there is, the price is astronomical." 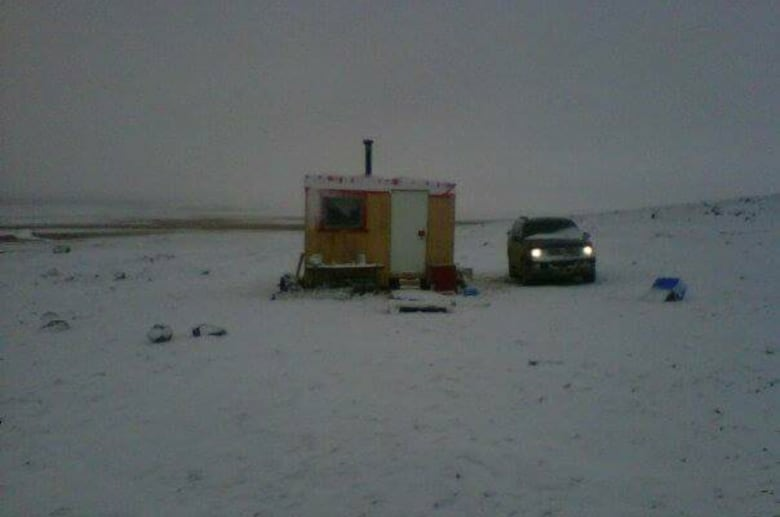 (Submitted by Ellie Mala)Mala says that in Cambridge Bay, like all Nunavut communities, options for private housing are limited, and extremely expensive. "It's more than what I make in a paycheque every two weeks to pay rent for some of these privately owned homes," she said. As a former employee of the community's housing corporation, Mala was intimately familiar with the long waits for public housing. 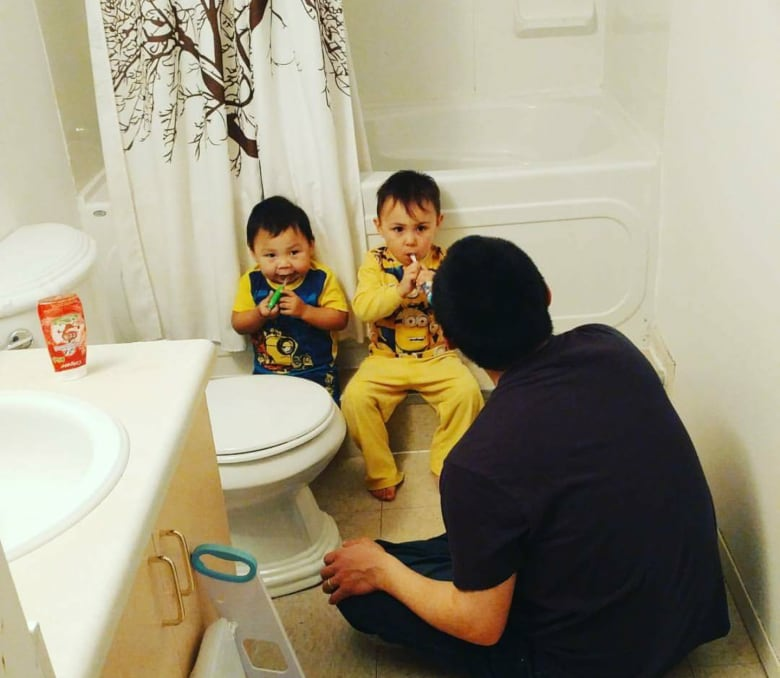 So, when she returned to Cambridge Bay with her husband and young son in the fall of 2014, they moved into her in-laws', sharing a three-bedroom home with her parents-in-law and brother-in-law. "It was crowded," she said, with a laugh. After three months in the home, Mala applied to public housing and was put on the waitlist. Knowing that she could be waiting months or even years for a home to come available, Mala took matters into her own hands. Approximately 90 individuals and families are on the waitlist for public housing in Cambridge Bay, a community with a population of just under 1,800. Those waiting for housing in the community are a small fraction of the over 2,000 applicants on waitlists across the territory, where two-thirds of residents cannot afford market housing without assistance from their employer or the government. Candidates for public housing are prioritized using a formula that takes into account the candidates' need — based on a variety of factors including their current living situation and medical needs — and the amount of time they've been on the waitlist. Mala's cabin. With no electricity, the cabin didn't provide the ability to plug in her sleep apnea machine, allowing her to claim medical need to move into a home. (Submitted by Ellie Mala)Knowing this, Mala, who has sleep apnea, built a small cabin 25 minutes outside the community, and moved in with her young son. The cabin has no electricity, meaning that the machine Mala uses when she sleeps could not be plugged in. "I got a letter from my doctor which I submitted to the housing board," she said. "Because I needed electricity to live." "It was a 25 minute drive every morning to town with my son ... and to come back early and inconvenience my brother- and sister-in-law so that I could shower and whatnot." After three months living in the cabin — ten months after she was placed on the public housing waitlist — Mala got the call she was waiting for. Public housing offered her a two-bedroom home for herself, her husband, and her young son. "It felt like freedom," she said. Mala's family has grown since then — she's since had a second son and a foster daughter — and the family is currently waiting to be transferred to a three-bedroom home. Mala's family enjoys their new home. They are currently on the waitlist again, hoping for a three-bedroom unit for their growing brood. 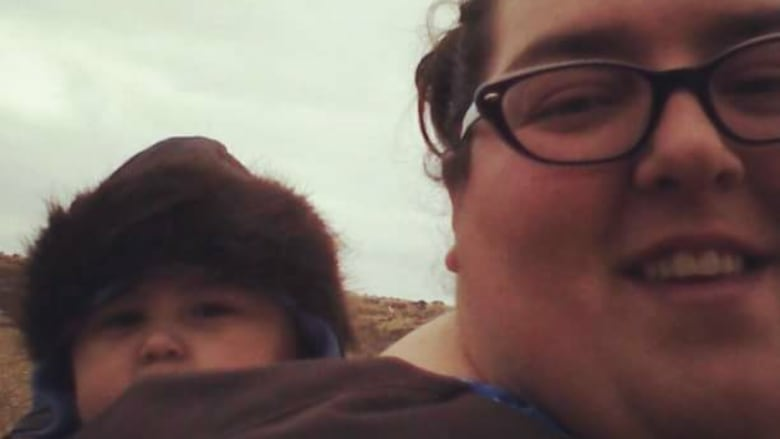 (Submitted by Ellie Mala)Despite having a home of her own, she, like many Nunavummiut, is hoping for a more secure situation to the territory's housing crisis. "It's not like down south, or Yellowknife even, where you find an apartment you like and put down a down payment, a deposit," she said. "There's no market for private rentals here ... so it's pretty brutal." And did Mala celebrate her new home? "Not really," she said, laughing. "We had a six-month old baby. The celebration was being able to put him in his own room at night."